St Pancras International is a railway station and Grade I listed building located on Euston Road. It was opened in 1868 as the terminus of the line connecting London with the East Midlands and Yorkshire. St Pancras is often termed the 'cathedral of the railways' and includes significant structures built in the Victorian era. The train shed, completed in 1868 by the engineer William Henry Barlow, was the largest single-span structure built up to that time. 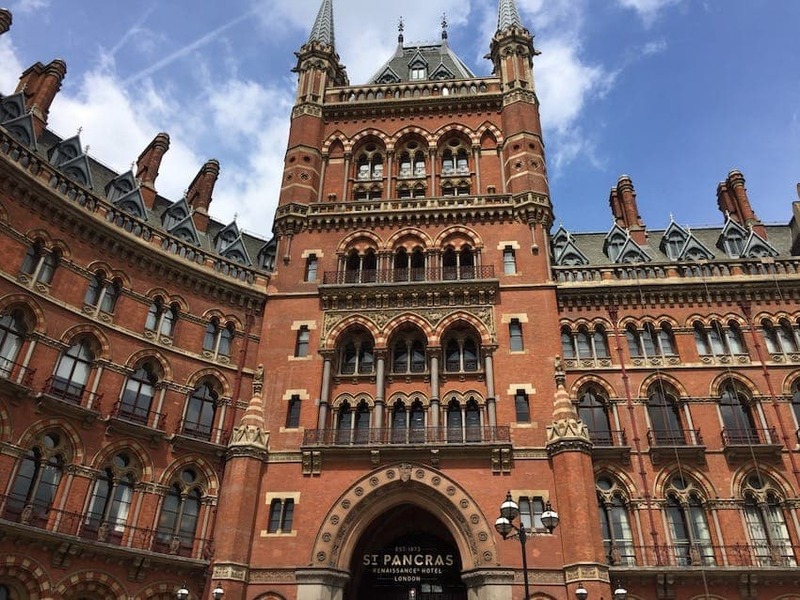 The frontage of the station was designed by George Gilbert Scott and is an example of Victorian Gothic architecture.